“Music is an enigma.” Why do we enjoy music? Why did this ability to enjoy sound appears in evolution? Why animal cries evolved toward Palestrina, Bach, and Justin Bieber. Aristotle was the first one to ask this question: “Why does music, being just sounds, remind us of the states of our soul?” Many great minds tried to answer this question, from Pythagoras to Helmholtz. Even Kant, who explained the emotions of the beautiful by relating it to knowledge, could not explain music: “it merely plays with senses.” Darwin thought that his theory of evolution can explain everything in the living world, with one exception: “Music is the greatest mystery.” Today evolutionary musicologists agree with Darwin. Pinker repeats Kant: music is “auditory cheesecake,” for biological causes and effects “music is useless”. Music, Passion, and Cognitive Function, publishing in early 2017, aspires to explain the mysterious power of music, the reason it emerged in evolution. Is it possible? Can you believe it? Can we understand today what escaped Aristotle, Kant, Darwin? Music can only be understood from its relations to the basic mechanisms of the mind: concepts, emotions, the knowledge instinct, aesthetic emotions, beauty, the dual hierarchy of cognition and language. Music plays a complicated dual role in the workings of the mind, it differentiates emotions and creates synthesis, wholeness in human psyche. In this process of “creating wholeness” music overcomes cognitive dissonances, unpleasant emotions related to contradictions in cognition. People do not like contradictions and avoid them, even at the cost of discarding knowledge. The first description of discarding knowledge in order to avoid cognitive dissonance was given 2600 years ago by Aesop. In his fable, “The Fox and the Grape,” the fox experiences ” a cognitive dissonance”: the fox sees hanging a beautiful ripe grape, but which is just a little bit too high to reach. The fox cannot get the grape but can avoid suffering from cognitive dissonance; the fox decides “the grape is sour.” In the 20th century hundreds of psychological experiments have demonstrated this to be a typical human behavior “if I cannot get it then I do not need it.” And yet humans can overcome cognitive dissonances; otherwise, language, cognition, and culture would not evolve, as every piece of knowledge contradicts previous knowledge. The book discusses a revolutionary theory of evolution and the function of music: music helps us overcome cognitive dissonances, and in this way makes possible the continuous evolution of culture. Furthermore, this theory explains why music has such a power over our souls: knowledge causes grief, cognitive dissonances, we live in this ocean of grief, and music helps us to overcome these negative emotions and to continue living. This is the reason people enjoy sad music, which they cannot even listen without tears. Is it an exaggeration to call this theory revolutionary? Certainly, conservatories and music schools do not teach anything like this. Nevertheless, this new theory is confirmed experimentally in several labs around the world. A fascinating story tells about the joint evolution of music and consciousness since King David to our days. Creative momentum requires a balance between differentiation and synthesis. In the last two thousand years in Western culture the balance has been supported by the evolution of music. Leonid Perlovsky (twitter: @LPerlovsky) is Professor at Northeastern University Psychology Department and CEO LP Information Technology, past Visiting Scholar at Harvard School of Engineering and Applied Sciences, at Harvard Medical School Athinoula Martinos Brain Imaging Center, Technical Advisor and Principal Research Scientist at the AF Research Lab. He has created a new area of cognitive mathematics, dynamic logic, which models the mind processes. Dr. Perlovsky served as Chief Scientist at Nichols Research, a $500mm high-tech company, as professor at Novosibirsk University and New York University; as a principal in commercial startups developing tools for text understanding, biotechnology, and financial predictions. His company predicted 9/11 market crash a week before the event and supported the SEC investigation. He is invited as a keynote plenary speaker and tutorial lecturer worldwide, including most prestigious venues such as the Nobel Forum at Karolinska Institutet; published more than 500 papers, 20 book chapters, and seven books with Oxford, Springer, and Frontiers; awarded two patents. Dr. Perlovsky has founded and serves as Editor-in-Chief for “Physics of Life Reviews,” the IF=9.5, ranked #3 in the world among biophysical journals. He received prestigious awards including the INNS Gabor Award, and the John McLucas Award, the highest US Air Force Award for basic research. Music, Passion, and Cognitive Function, examines contemporary cognitive theories of music, why they cannot explain music’s power over us, as well as the origin and evolution of music. 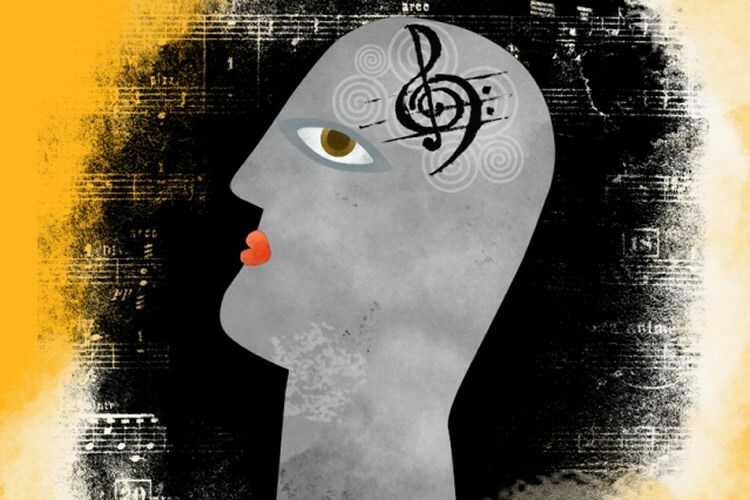 A new cognitive theory is described, a theory of musical origin based on the fundamental role of music in cognition: music unifies the inner world split by language, and enables the accumulation of knowledge and cultural evolution. The book considers the split in the vocalizations of proto-humans into two types—one less emotional and more concretely-semantic, evolving into language, and the other preserving ancient emotional connections along with semantic ambiguity, evolving into music. This theory is unique in making experimentally verifiable predictions. Music, Passion, and Cognitive Function is expected to publish in early 2017. You can pre-order a copy from the Elsevier Store. Apply discount code STC315 and receive up to 30% off the list price and free global shipping. The book will ship to you immediately upon publication.